Last season, Phil Hughes set the record for the highest strikeout-to-walk ratio ever in MLB history. For months, baseball fans tried to figure out why -- his 11.63 K:BB ratio seemed superhuman, somehow. Magical, almost. Otherworldly, you might say. Based on the latest Twins announcement, there appears to be a simple reason for Hughes' feat: He's a Jedi. In a shot-for-shot remake of the "Star Wars: The Force Awakens" trailer, the Twins announced "Star Wars Night" for their game against the A's at Target Field on May 4 (May the Fourth … get it?). 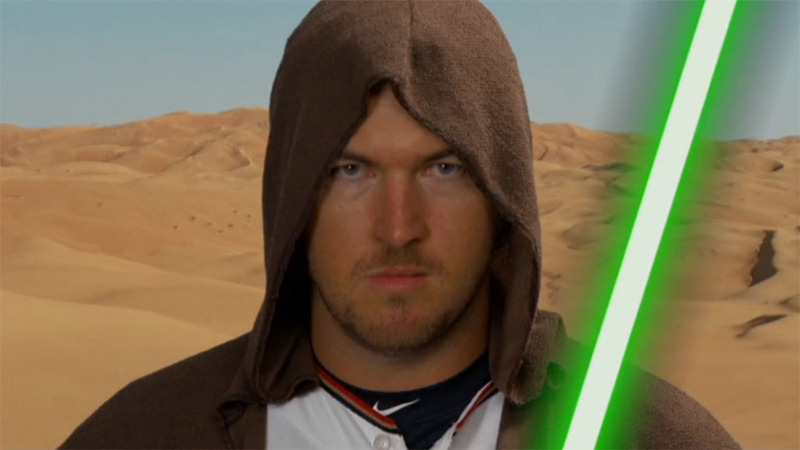 They'll also be giving away "Hughes The Force" bobbleheads, featuring the pitcher's true lightsaber-wielding identity. The announcement also reveals, however, that some members of the Twins (including T.C.!) are actually interlopers from a galaxy far, far away. It makes sense: Hughes controlled his pitches with The Force, thus the historical K:BB ratio. Just add Jedi to his growing resume.